Nonetheless, the “cigar box” that I originally played—a dusty relic of my Russian-Jewish grandparents’ closet, was replaced with a divine-sounding instrument that kept me attentive for the better part of 7 years–earning me the plum concert master chair of the Manhattan Borough-Wide junior high school orchestra. 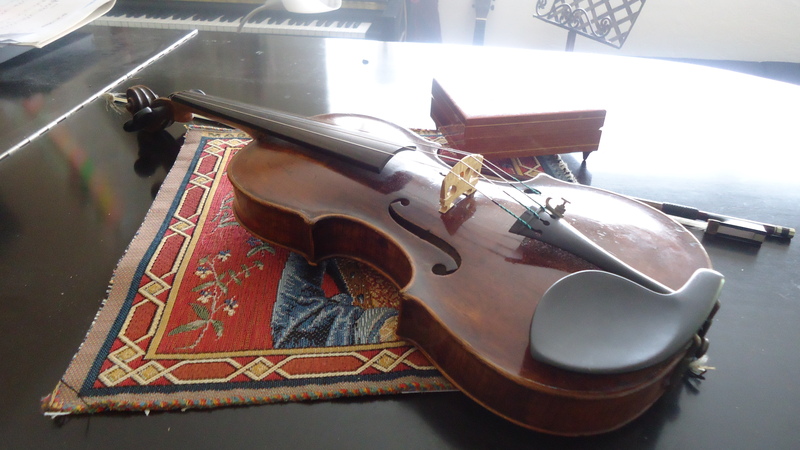 Ostensibly, the fiddle eventually went into hibernation following my Oberlin graduation, and surfaced when I played sporadic chamber music at the 92nd Street ‘Y.’ Thereafter, it was headed for early retirement. So why, decades later, did I pluck it from obscurity? The answer is revealed in the you tube interview attached that originated in the Bay area’s most famous string hub. 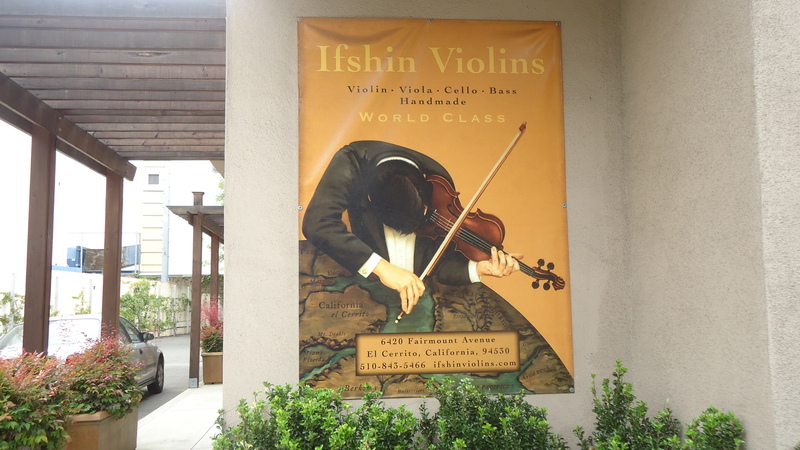 Ifshin’s, a world unto itself is a sanctuary for string instrument lovers. Jay Ifshin, owner and founder, is an impassioned ground-breaker who moved the string palace from Berkeley to a lovely cove in El Cerrito. It’s a stone’s throw from the El Cerrito Plaza, but not engulfed in traffic. Nicely sequestered on a tree-lined street, it has a charming and colorful path to its entrance. 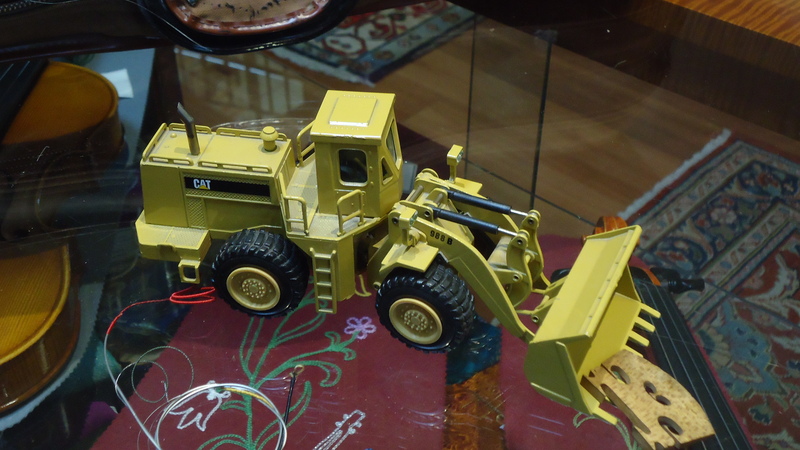 Think “bulldozer” he said, as he placed a miniature beside my violin. A bulldozer engine re-builder in a former life, Jay turned to the violin for pure relief, starting lessons in his 20s (in Florida) Quickly consumed with the joy of playing–savoring the rich literature of great composers, he moved into the universe of crafting violins. 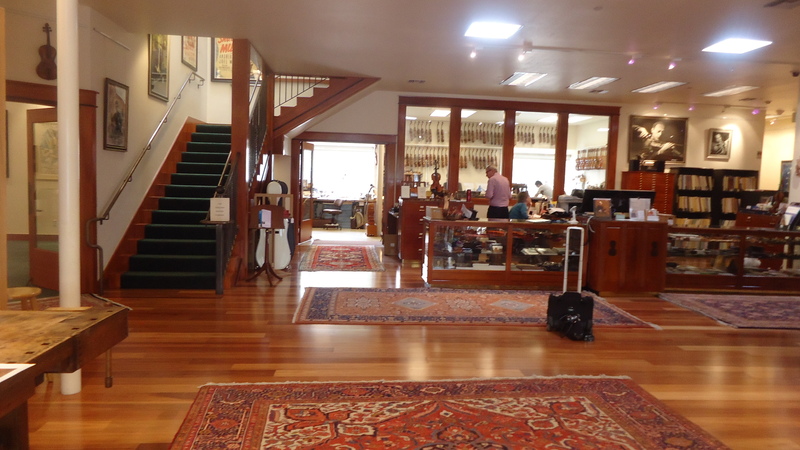 At the Violin Making School of Salt Lake City, Utah he studied under Paul Hart and Peter Prier. 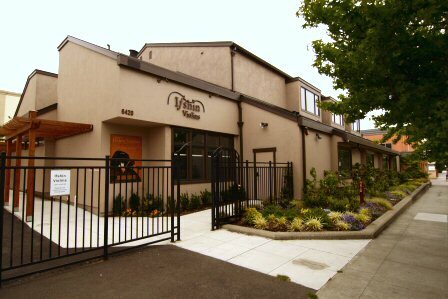 Following his stint in Utah, Ifshin arrived in Bozeman Montana, continuing his craft, before he eventually moved to Berkeley, California, where he set up a business. 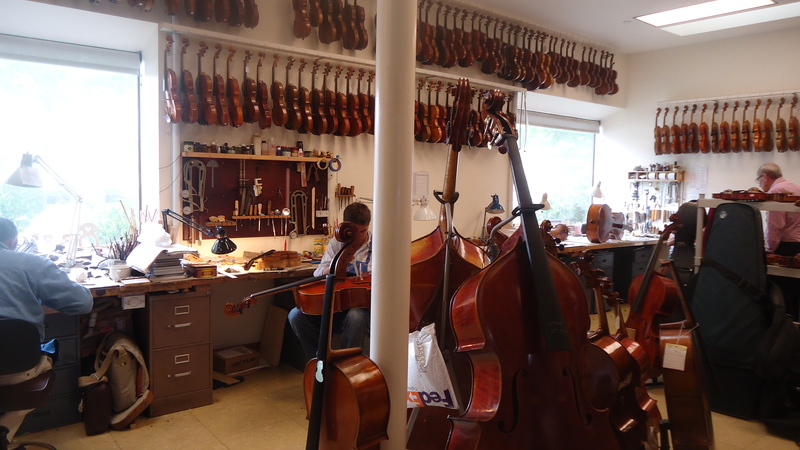 After 20 plus years at one location, Jay ignited an expansion of space and resources at the El Cerrito relocation which brought a faithful following of string lovers far and wide. And today’s interview with “Richard” one of the Ifshin principles was both educational and enlightening. A big Thank You to all for your warm welcome!